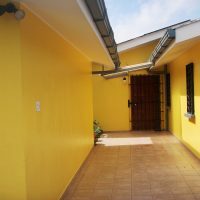 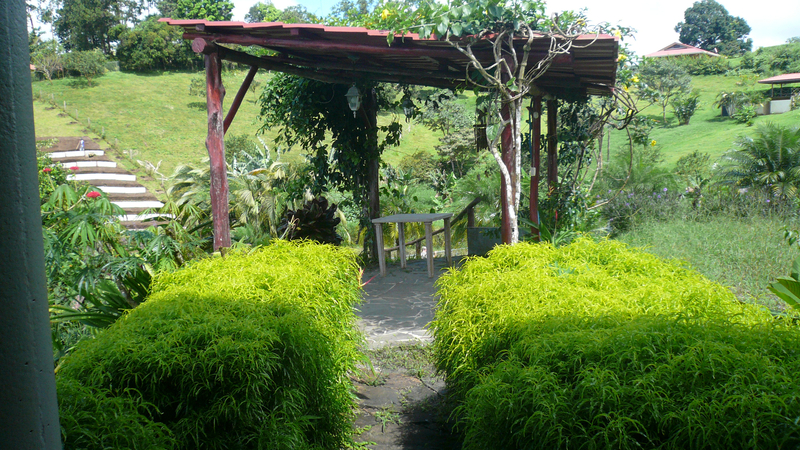 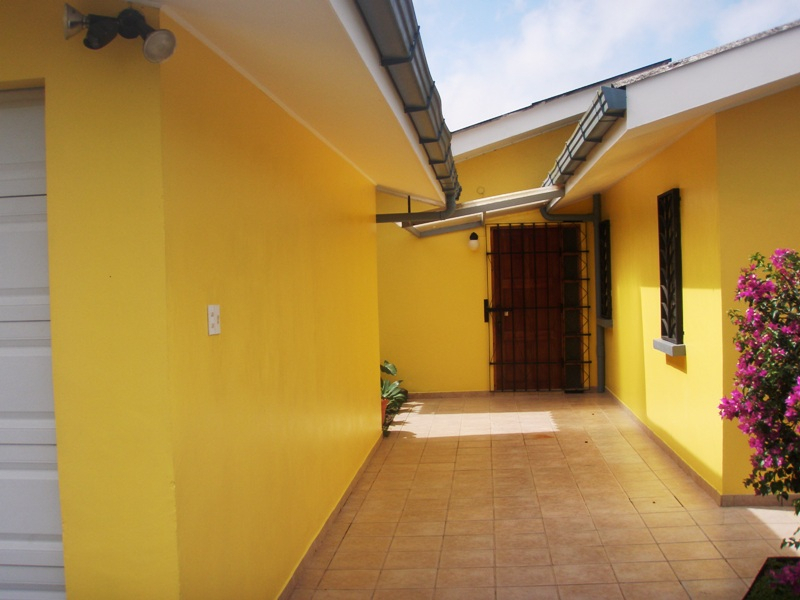 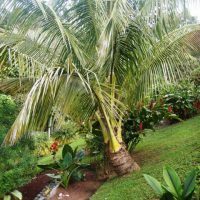 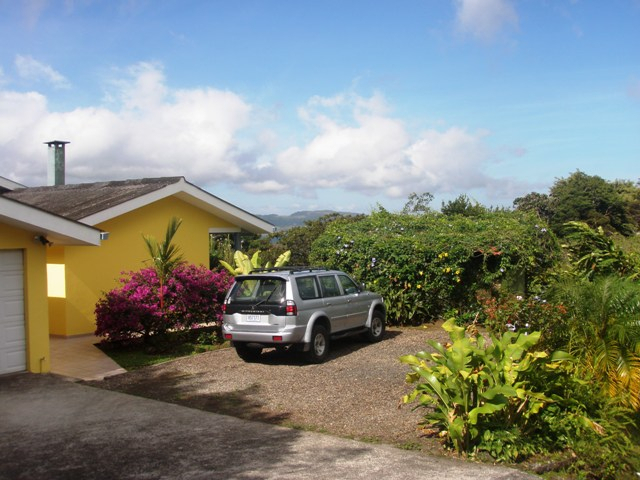 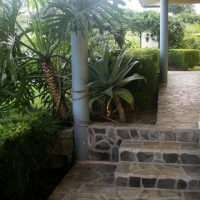 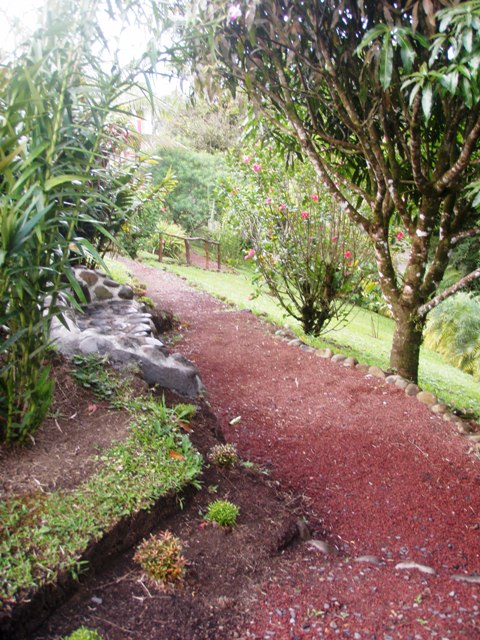 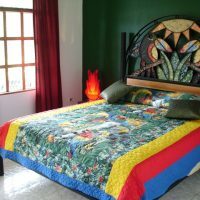 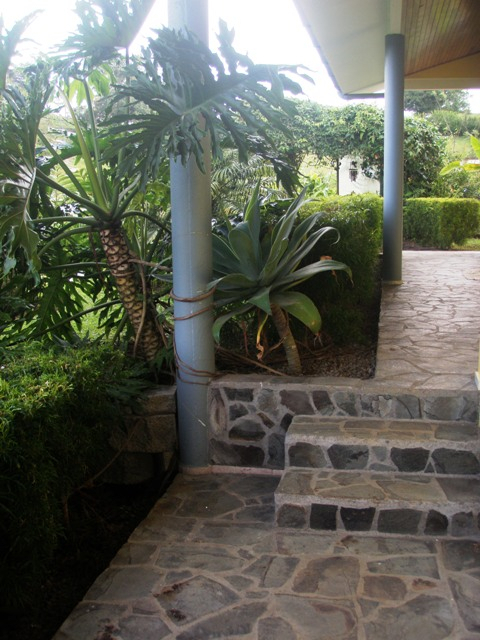 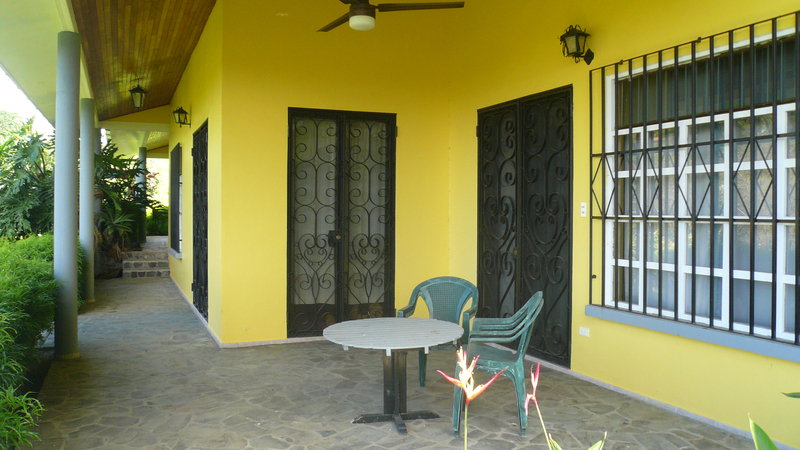 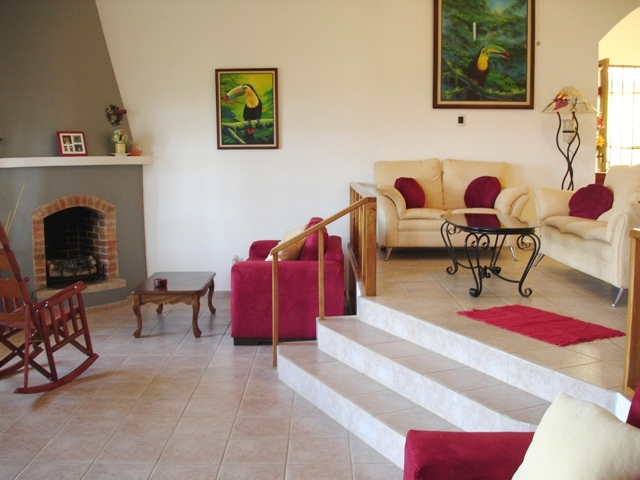 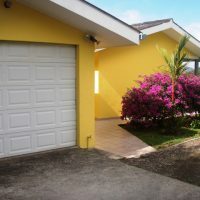 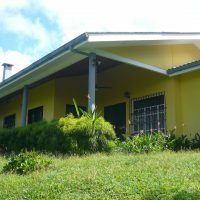 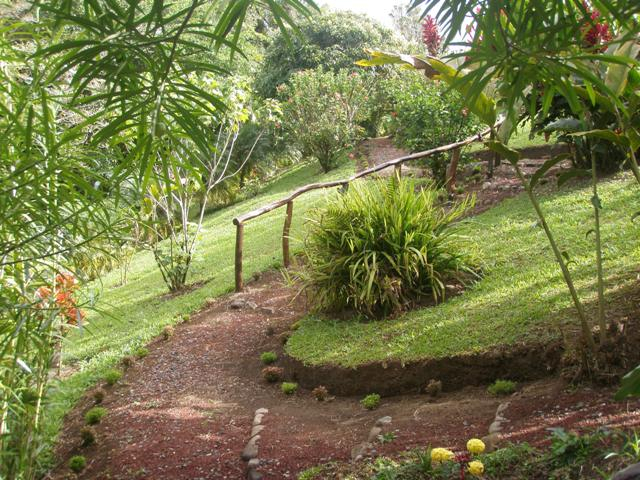 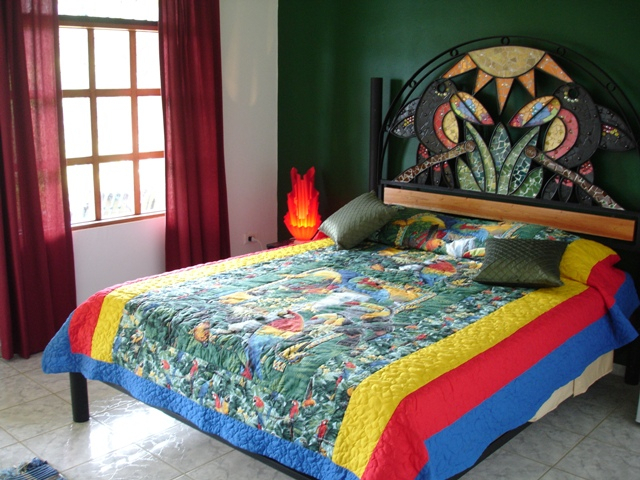 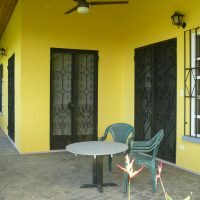 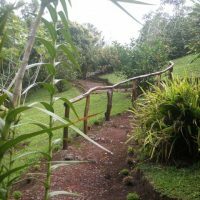 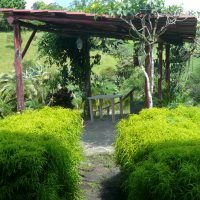 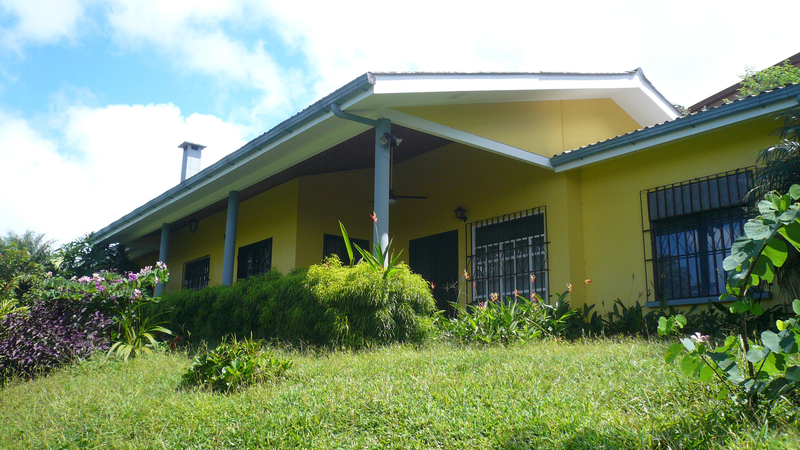 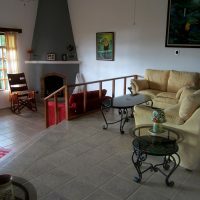 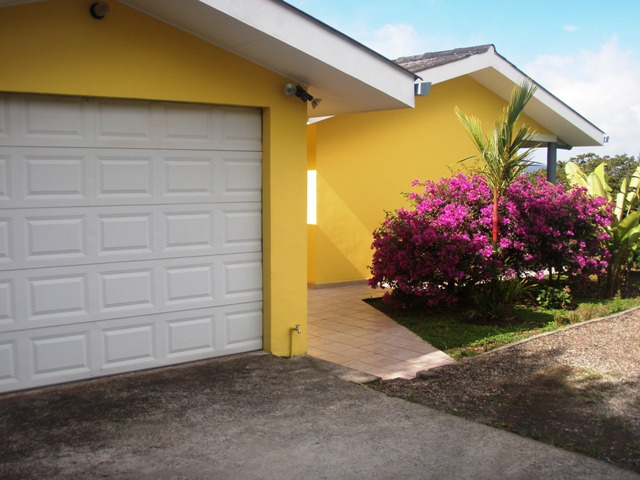 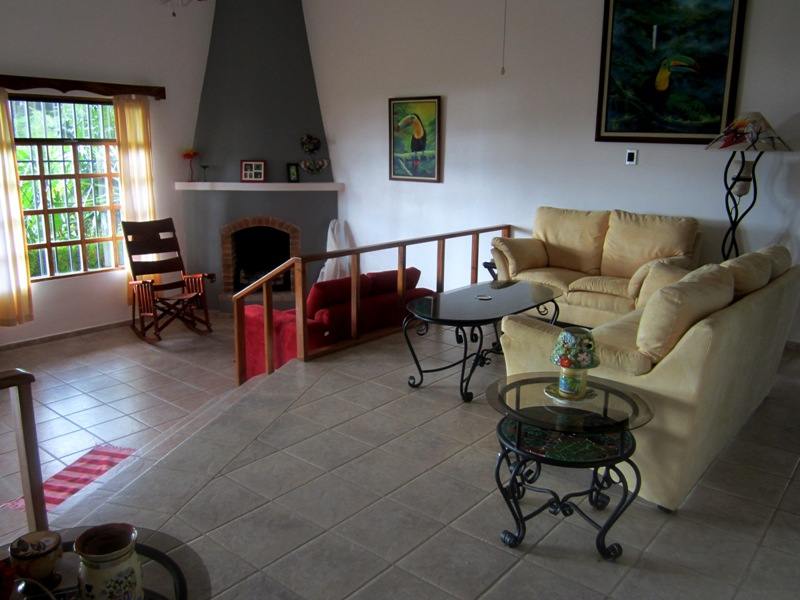 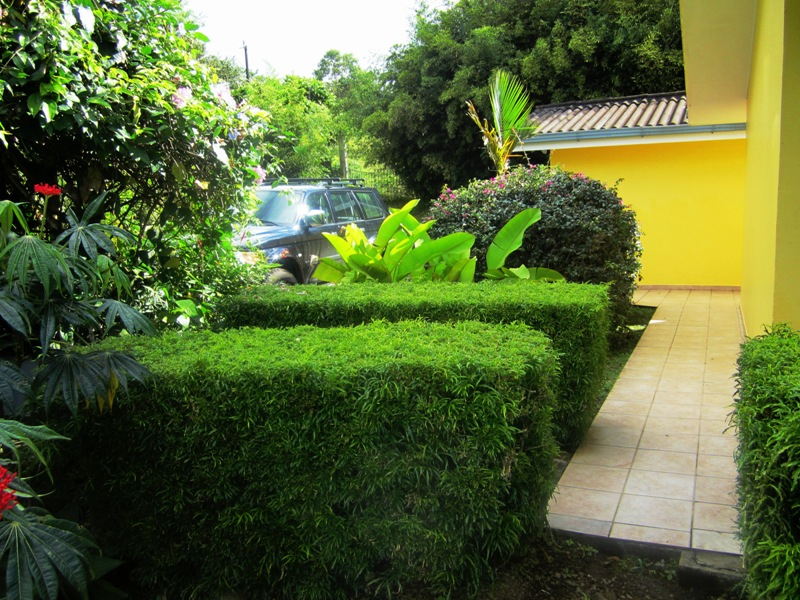 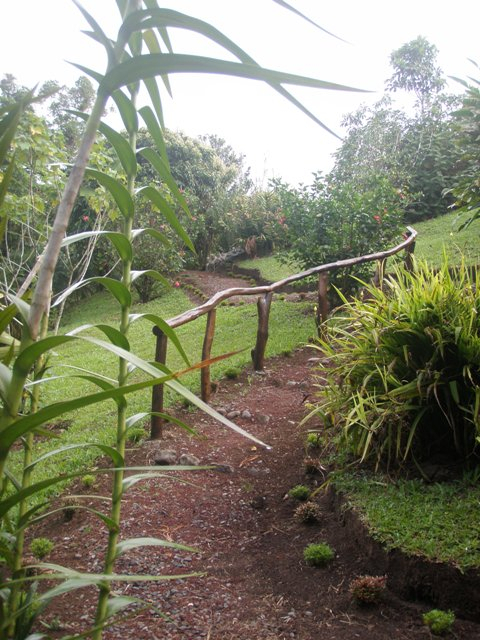 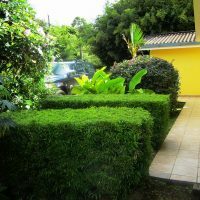 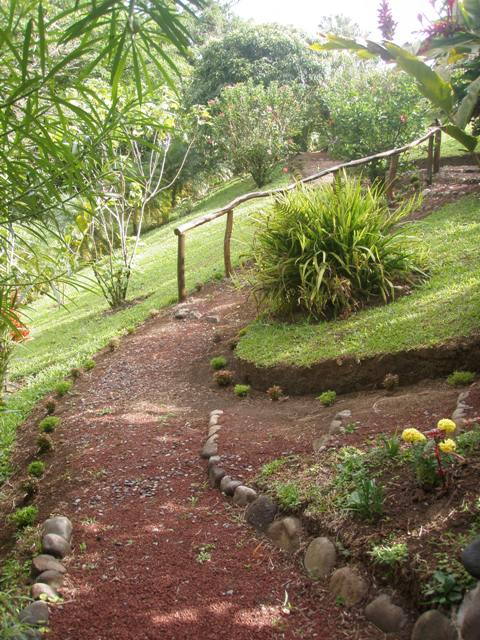 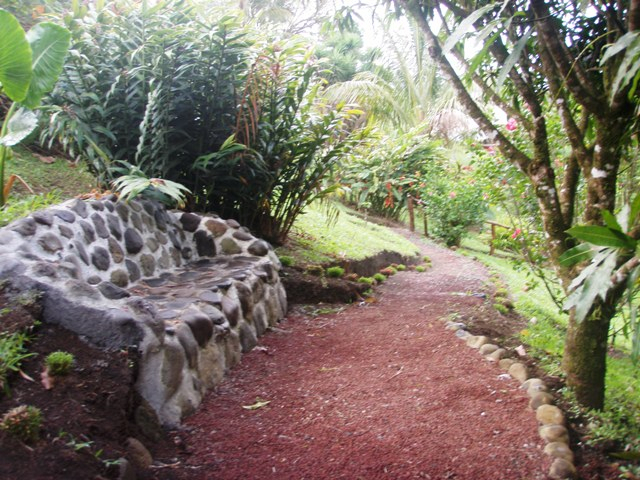 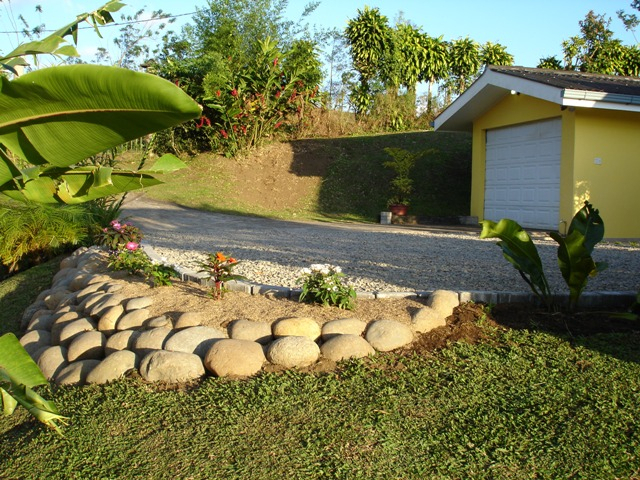 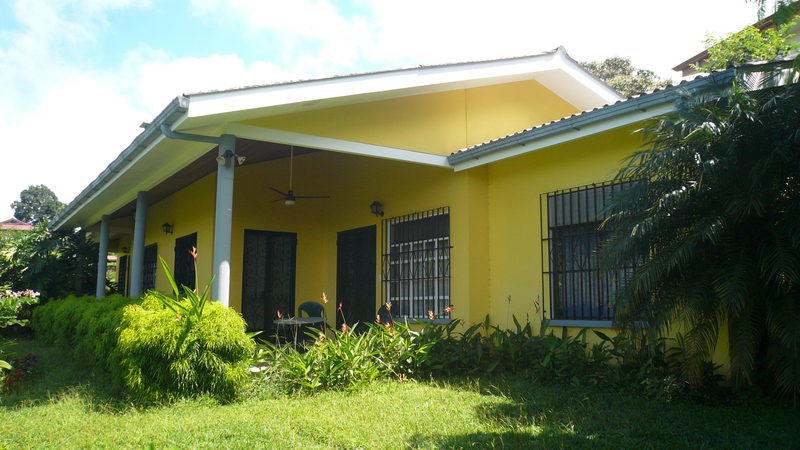 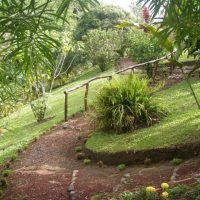 In the expat gated community, yet walking distance to Arenal town, on the paved road. 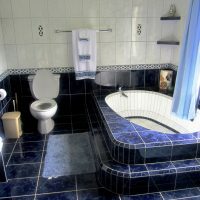 Unique ! 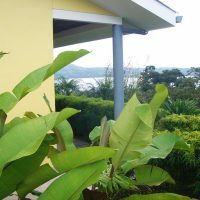 Great lake view too. 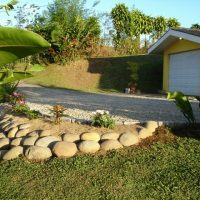 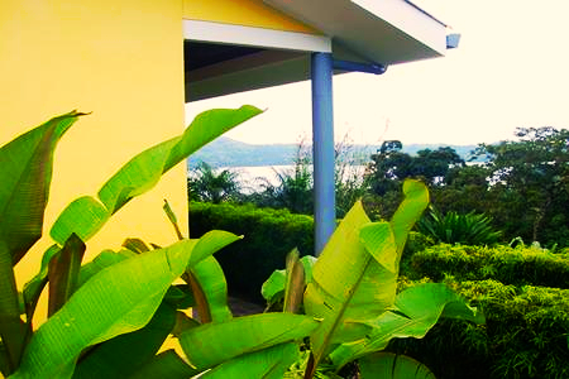 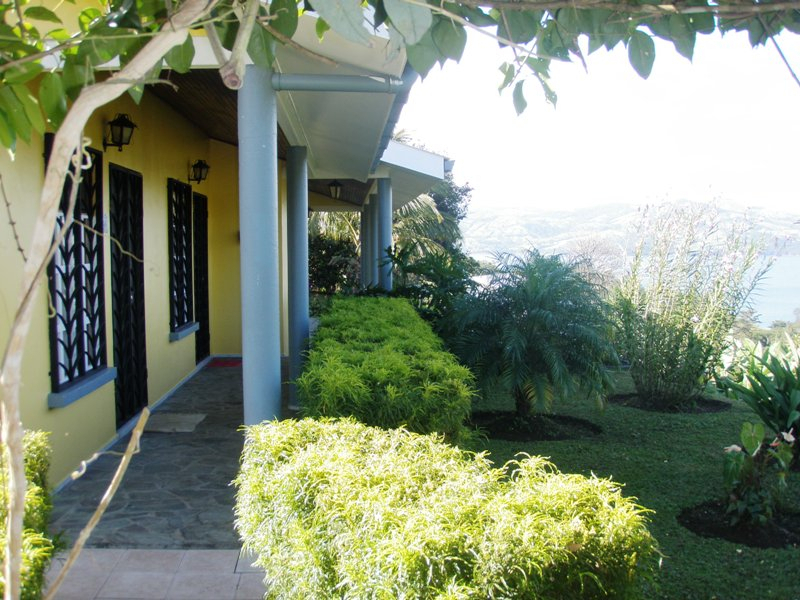 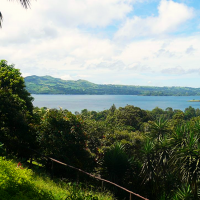 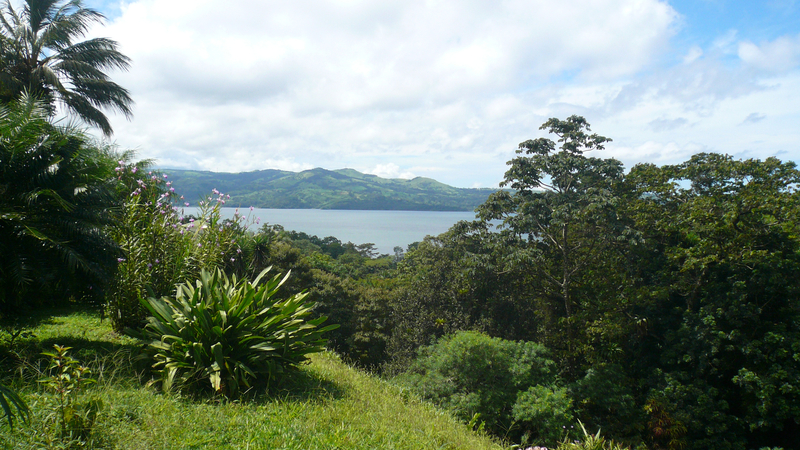 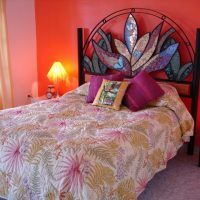 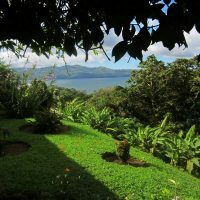 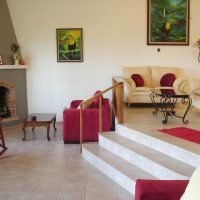 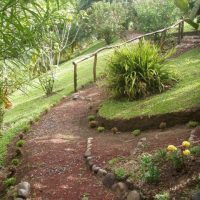 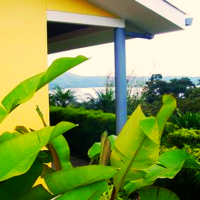 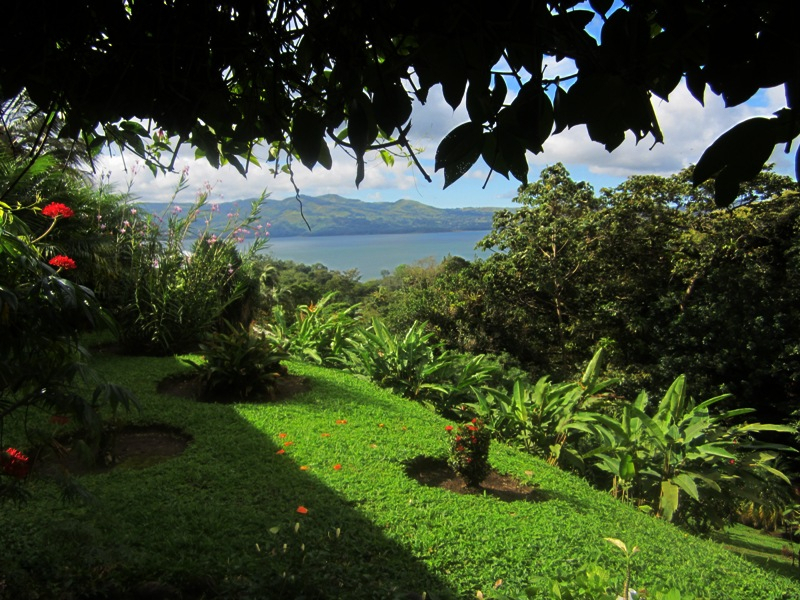 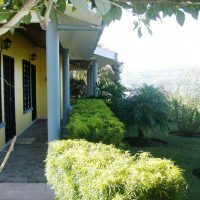 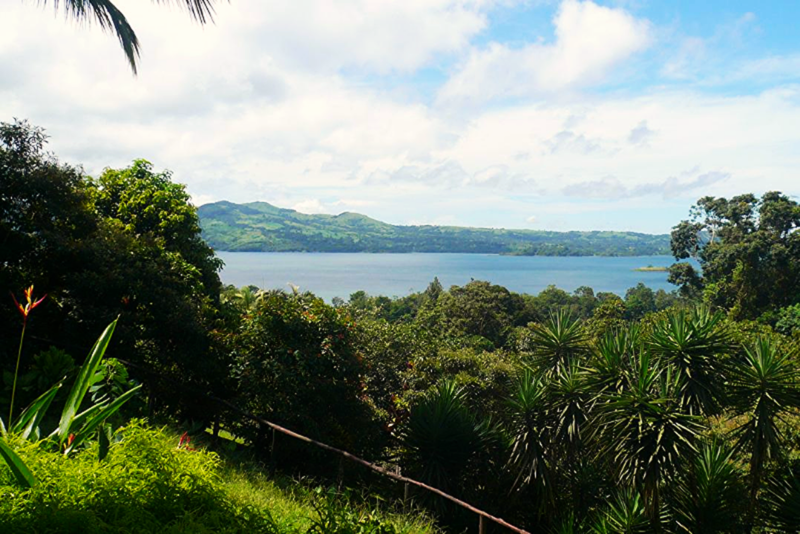 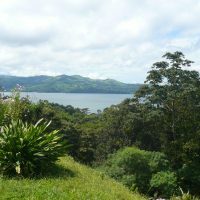 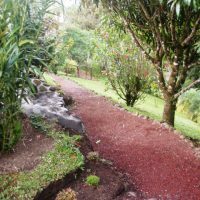 This very conveniently located home is walking distance to Arenal town, on the paved road, within the gated community, featuring beautiful lake view… Believe it or not, but around the lake, this combination is pretty unique ! 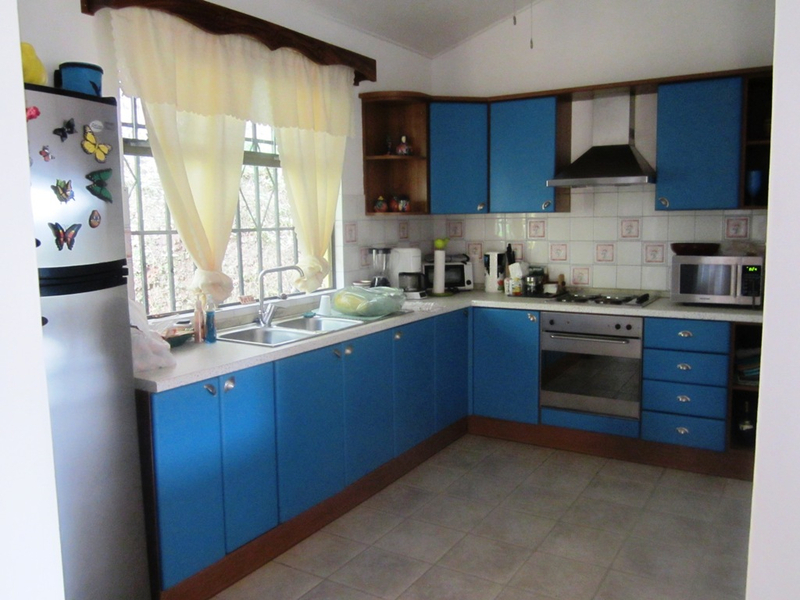 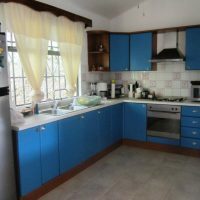 This home is about 250 m2 of construction, with three bedrooms, spacious, multi level living room/lobby with fire place, modern kitchen and detached garage/storage with automatic gate. 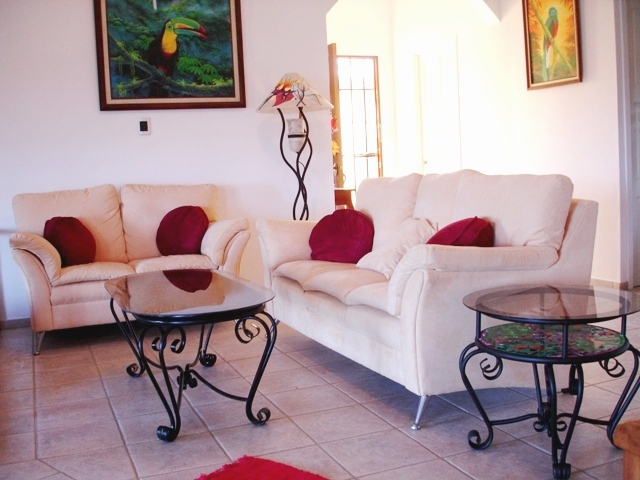 20-25 ft tall ceilings with multiple ceiling fans keep environment cool and pleasant. 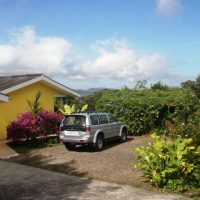 Outside is a large parking area for up to five cars. 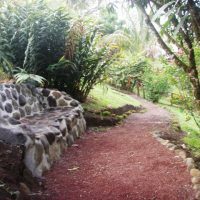 There is a 1/4 mile walking trail on the property, with stone benches and lots of trees providing shade for your relaxation. 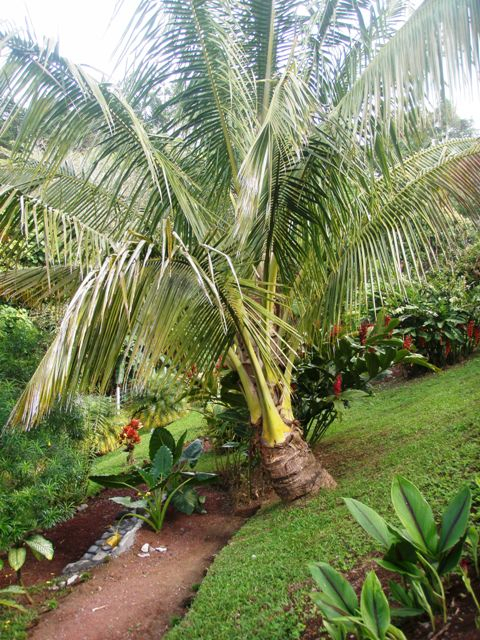 Toucans, parrots, hummingbirds and monkeys are daily visitors of the property. 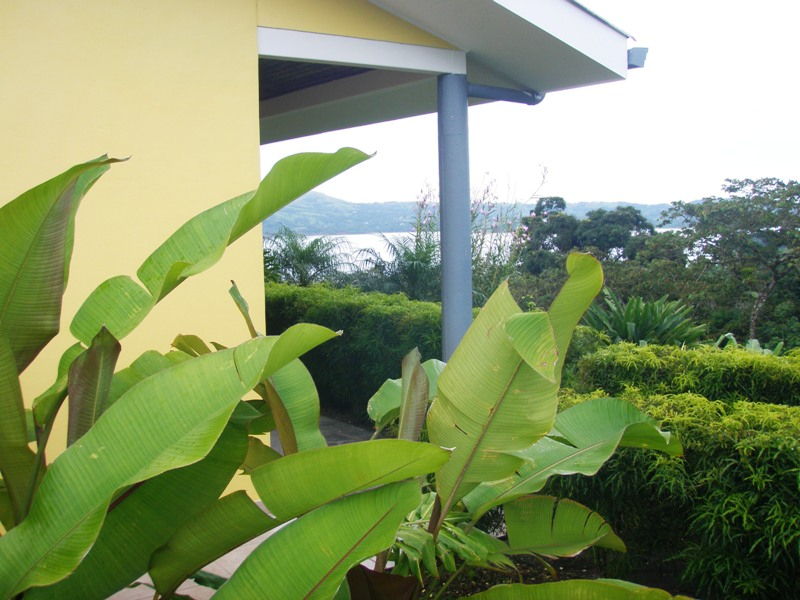 About 3/4 acre landscaped land and of course, there is the magical lake view ! 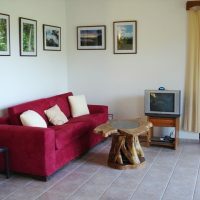 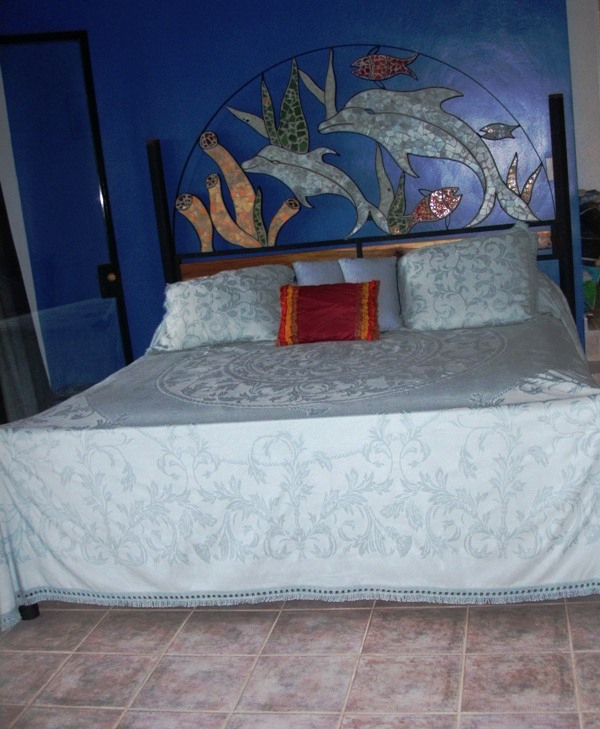 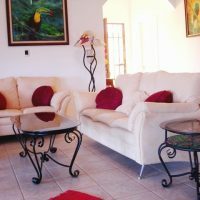 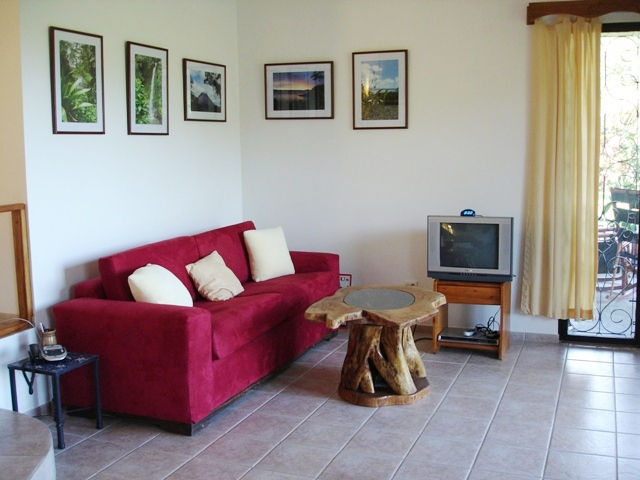 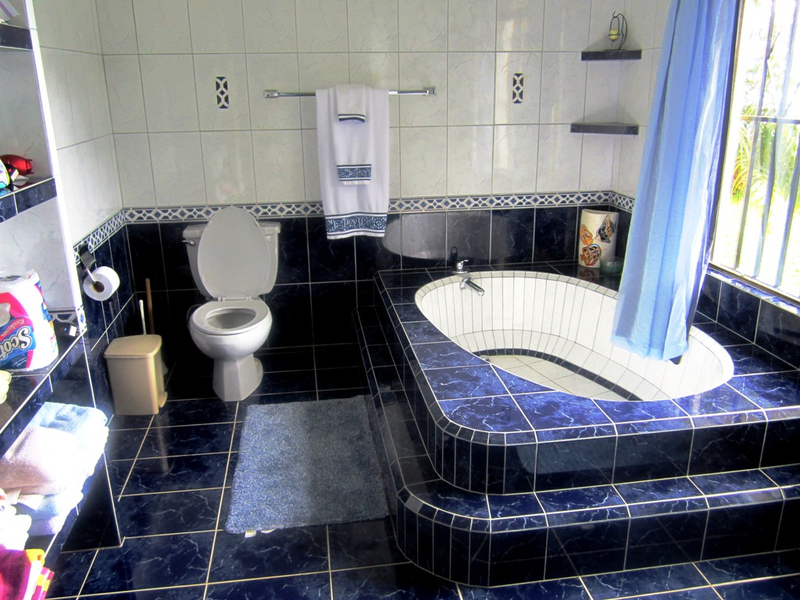 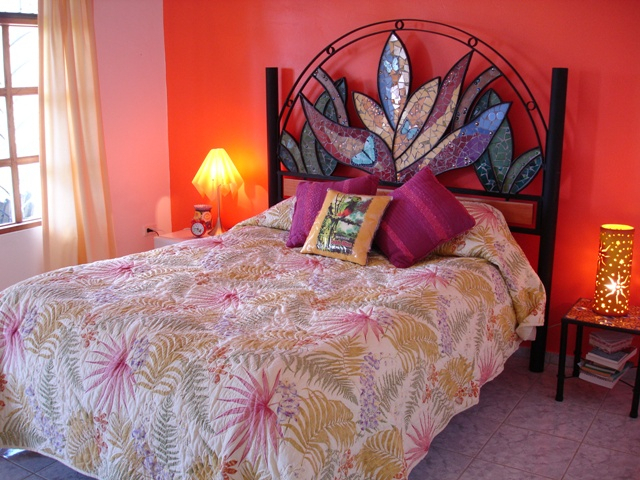 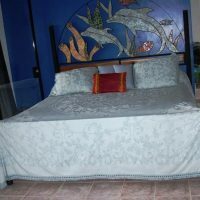 The home is completely and quality furnished and decorated. 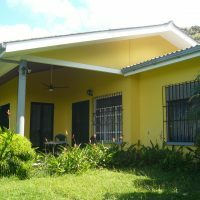 This property was originally built and operated like B & B.